The supporting image for the Lamassu in Metropolitan Musenm in New York. It’s the Portal Guardian of Nimroud an ancient Assyrian city, colleted in British Museum. 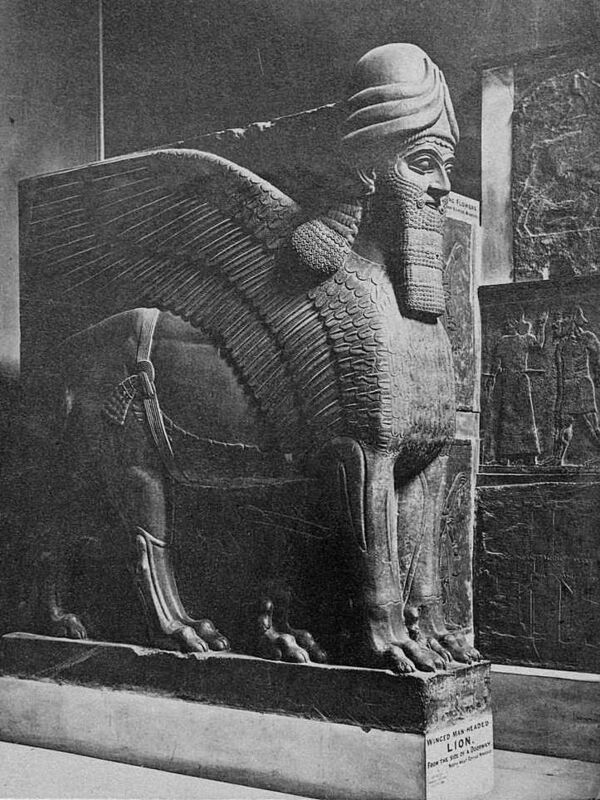 It also has two relief of Marduk on the right side of Lamassu.